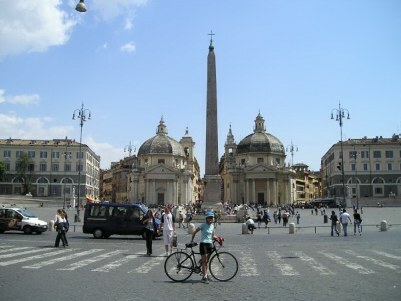 Below is Hynda at Piazza Popolo. The Romans were obsessed with obelisks that they found in Egypt when the Roman empire extended that far. 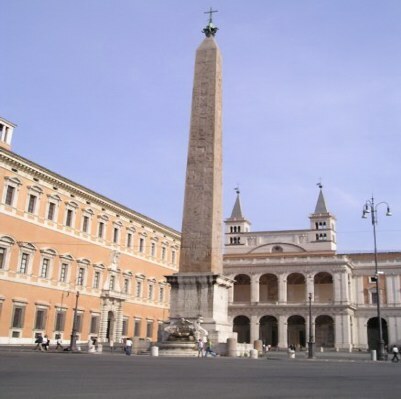 This obelisk was brought back from Egypt in 10 BC by Emperor Augustus. It was already 1500 years old at that time. This piazza was the northern entrance to the city and up until the 19th Century was still used for public executions. Here are a couple more obelisks. They are all over the city. Some as part of fountains and others just standing by themselves. on it. It is in front of Church of San Giovanni. If you look real close you can see Hynda standing at the base. 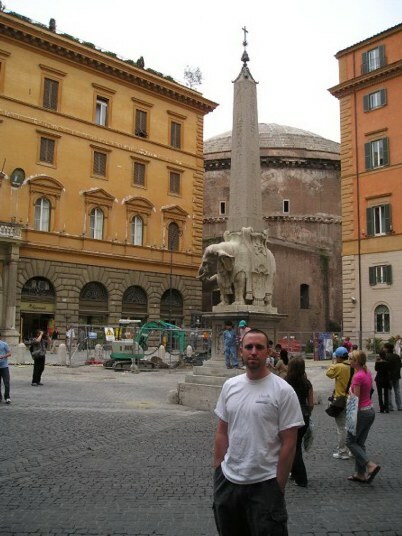 Here is Brenan again in front of probably the second most famous fountain in Rome - Fountain of the Four Rivers. 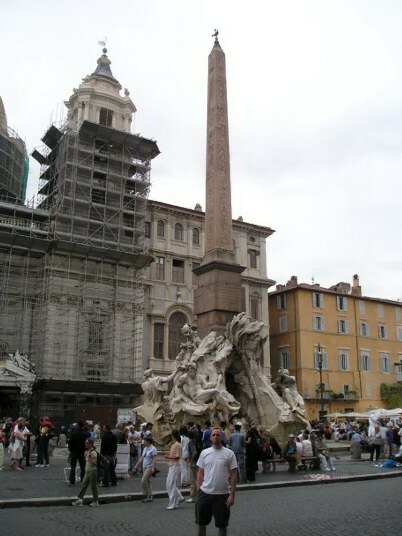 This is another one by Bernini - done in 1651 and it has another Egyptian obelisk.